Balzer + Bray, 9780062748577, 40pp. Pip is a normal pig who does normal stuff: cooking, painting, and dreaming of what she’ll be when she grows up. 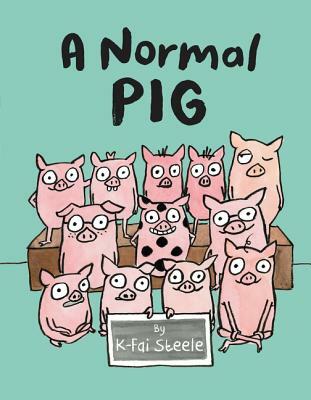 But one day a new pig comes to school and starts pointing out all the ways in which Pip is different. Suddenly she doesn’t like any of the same things she used to...the things that made her Pip. A wonderful springboard for conversations with children, at home and in the classroom, about diversity and difference.